NEW ORLEANS - A police officer for New Orleans' public housing agency was shot and killed Sunday while working overtime to patrol an agency construction site, city police said. The officer is the first to die in the line of duty since the Housing Authority of New Orleans' security department became a full-fledged police force in April 2012, said Lesley Thomas, spokeswoman for the agency. 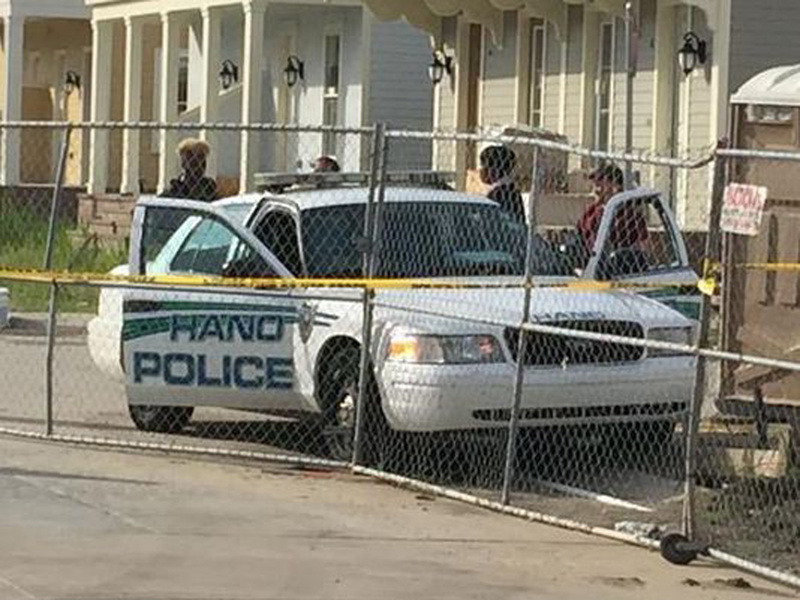 "The death of this HANO police officer is an unspeakable tragedy, and a vile and cowardly act," Mayor Mitch Landrieu said in an emailed statement. The officer was 45 years old and had worked for the department since 2013. The patrol car apparently had rolled one to two blocks after the officer was shot before hitting a curb and stopping, Landrieu said. The driver's side window was broken out and the cruiser lights were still on when responding officers found the body, reports CBS affiliate WWL-TV in New Orleans. The cruiser had apparently hit a curb. NOPD Superintendent Michael Harrison said the officer's car was found in drive. The officer's name is being withheld until his family is notified, HANO Police Chief Robert Anderson said. Cynthia Wiggins, president and CEO of the Guste Community, told The New Orleans Advocate that she talked to everyone living across the street from the block where the officer was shot, and none of them had heard any gunshots or confrontation. Security guards hired by the contractor had patrolled the site until the last month or so, when HANO fired the contractor for failing to keep the promised schedule, Wiggins said. She said HANO was patrolling temporarily until a new contractor was hired, and typically had two officers in separate cars at the site. HANO oversees 10 developments, many of them rebuilt after Hurricane Katrina destroyed many of its apartments in 2005. Instead of apartments, much of the new work is houses and townhomes, some of which are subsidized and some rented at market rates. The 155 houses being built in the Guste Community all will be rented to low-income residents, Thomas said. "NOPD and HANO are part of the same close-knit law enforcement family that puts their lives on the line to protect and serve the people of New Orleans. Never are we more aware of the risk they face every day than we are on terrible days like this," Landrieu said.